Two Lives is both a history of a violent century seen through the eyes of two survivors and an intimate portrait of their friendship, marriage, and abiding yet complex love. Part biography, part memoir, part meditation on our times, this is the true tale of two remarkable lives, a masterful telling from one of our greatest living writers. Lucy, a teenage girl from the West Indies, comes to North America to work as an au pair for Lewis and Mariah and their four children. Lewis and Mariah are a thrice-blessed couple - handsome, rich, and seemingly happy. Yet almost at once, Lucy begins to notice cracks in their beautiful façade. With mingled anger and compassion, Lucy scrutinizes the assumptions and verities of her employers' world and compares them with the vivid realities of her native place. A richly moving new novel - the first since the author's Booker Prize-winning, internationally celebrated debut, The God of Small Things, went on to become a beloved best seller and an enduring classic. In a graveyard outside the walls of Old Delhi, a resident unrolls a threadbare Persian carpet. On a concrete sidewalk, a baby suddenly appears just after midnight. In a snowy valley, a bereaved father writes a letter to his five-year-old daughter about the people who came to her funeral. In a second-floor apartment, a lone woman chain-smokes as she reads through her old notebooks. At the Jannat Guest House, two people who have known each other all their lives sleep with their arms wrapped around each other, as though they have just met. A braided narrative of astonishing force and originality, The Ministry of Utmost Happiness is at once a love story and a provocation - a novel as inventive as it is emotionally engaging. It is told with a whisper, in a shout, through joyous tears, and sometimes with a bitter laugh. Its heroes, both present and departed, have been broken by the world we live in - and then mended by love. For this reason they will never surrender. Humane and sensuous, beautifully told, this extraordinary novel demonstrates the miracle of Arundhati Roy's storytelling gifts. What did you like best about The Ministry of Utmost Happiness? What did you like least? The cadence of the writing. 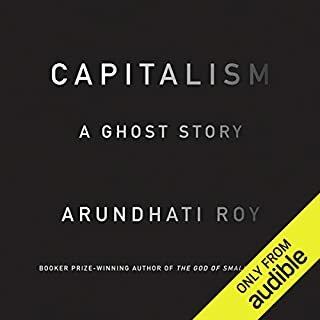 Arundhati Roy is a great writer, and I loved The God of Small Things, but I am going to switch to my Kindle to read this book. Her voice is soothing and it is great to hear a book by its creator, but her voice never changes tone and it is monotonous to listen to for long periods (and this is a long book!). I find myself drifting and missing key points of the story. Plus, it is difficult to keep the long Indian names straight in my head when they are spoken vs. written. I feel that a professional narrator might have helped with this issue. People who have trouble understanding accents (like my partially deaf boyfriend) would have an awful time with this book. Roy's accent sounds lovely to me, like music. But best to listen to the sample to make up your mind. This is such marvelous writing, touching, witty, so beautiful and crazy, and the bonus is, I finally have a sense of what's been going on politically in India for all these years. I love the main character. A few of the others seem made to carry too much historical baggage to be real people. But oh, the writing the writing. I LOVED THIS BOOK. I love Arundati Roy and I have been waiting for this book since she first announced its release. I have hard copies of all her books and this was my first audio book purchase of her work. My disappointment is possibly tied to the fact that I expected her reading and her voice to transport me to that ethereal place that her books do. It did not. Her voice was monotonous and I had to fight to stay connected. I just ordered the book at my local library and cant wait to read it. I love how she creates characters that stick. What disappointed you about The Ministry of Utmost Happiness? 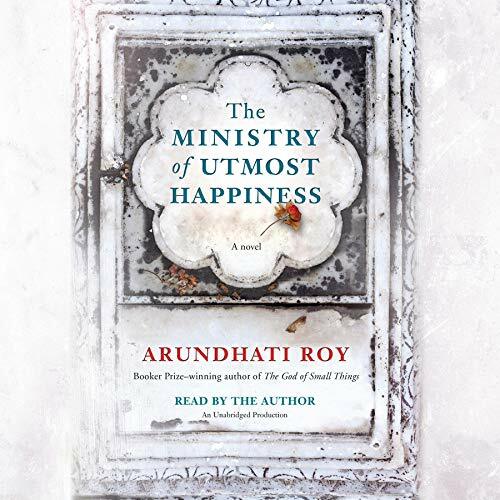 What was one of the most memorable moments of The Ministry of Utmost Happiness? I LOVE this author and was so looking forward to listening to this book, especially since it is read by her. I kept losing focus and to my ear, her voice and accent just didn't draw me into the story. I will read the print copy of this book, since I just could not complete listening. This was a painful read. I slogged through as much as I could--about 65%. Then it was either throw it through the window, or me jumping out the window. I stopped and started reading this novel four times. I never could get a handle on it, never could get interested in the characters, never could appreciate the meaning of this fluid, fluffy, stream of imagination that flung itself aimlessly here and there trying, I believe, to be fairy tell, social commentary, religious lesson, myth, and novel. I would step back from it and wonder, "What do we have here? What am I not getting?" I worked overtime on this one. A month I worked and nothing. 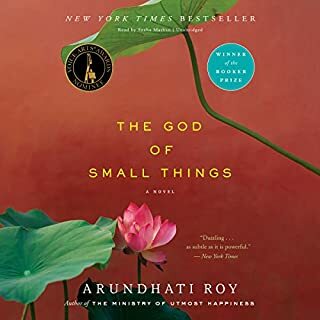 I loved Roy's other novel, GOD OF SMALL THINGS. I think it is a masterpiece. But MINISTRY OF UTMOST HAPPINESS is too ethereal for my tastes. As to the Audible, it has been my experience that authors make poor narrators of their works. Ms Roy was an extremely poor narrator of MINISTRY. She was insensitive to breaks between sentences and paragraphs, phrasing, and often mispronounced words. It was sloppy and confusing. 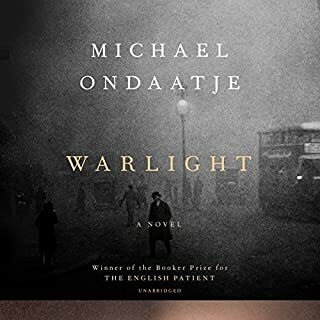 Her strong accent did not make the story sound romantic or Oriental or more "Indian", it only put a thick layer of dissonance and lack of clarity between the oral narration and the listener. I am hugely fond of Audible in my reading experience. But what if one was using Audible for one's sole access to a work of fiction? If one cannot understand the narrator, it defeats the purpose. 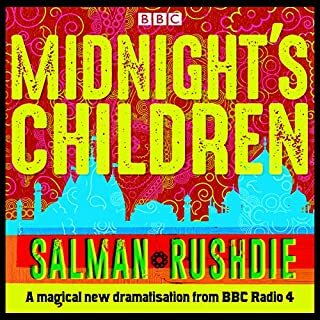 Audible needs to consider re-narrating this novel. Use a narrator with a British accent, even one with a slight Indian accent. Why not consider the same one used for THE GOD OF SMALL THINGS? At least half of the book, which concerns a transgender person of a muslim background, seems to be inspired by a storyline from the 2011 Pakistani movie, Bol. The characters and the backstory of this part, however, are better fleshed out than the movie. The rest of the book concerning the day to day plight of the people of Kashmir, is refreshing and something that generally doesn't see the light of day in the international media, given the concerted policies of the Indian government and the nationalistic fervour it has drummed up in its population. It will be interesting to see the response to this book in the coming months from the Indian press, especially for Roy's portrayal of Modi as "Gujrat's Lalla". A mirror for those who may care to see it. The narration is so petrifying that my eyes were wide open all along. Roy is an extraordinary critique of the society and this book is a must-read for those who live in euphoria that India is advancing. It was nice she made it an audiobook, that she read it. It had many complex ideas about her homeland. It was very human and heartbreaking. Otherwise it didn't move me much. She's a revolutionary at heart and this came from the heart, but unless you are from India it might be hard to get too involved in the plot. 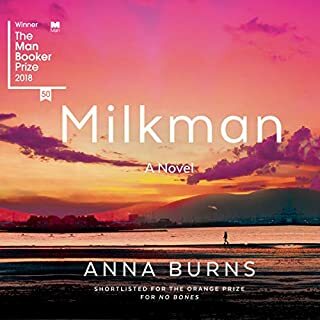 Also it's nice to see she finally let her other famous novel become an audiobook, but too bad she didn't narrate that one, because who knows better then the author the real feelings of each line? I like her nonfiction work better at this point and look forward to more of it. She is one of the greatest writers and activist of our times. I have mixed feelings about rating this book. At various times it could have been 5 stars or 2 stars. So much was so amazing. I learned a great deal about the culture and politics and daily life there. 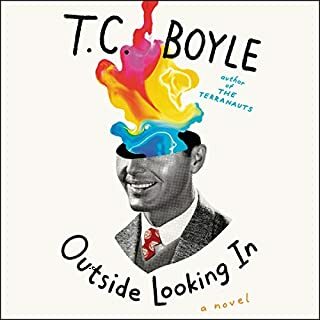 The characters were complex, odd, and eccentric—something I love and look for in a book. The story was often compelling. But it was hard to get through this book! So MANY characters and settings that I constantly had trouble keeping track and keeping them straight. (Perhaps that would have been somewhat easier with print than audio?) I lost the thread a lot, was confused about who a reintroduced character was, failed to understand what was really happening in a scene before finally finding my footing again. I feel like I missed a lot. And sixteen and a half hours is a lot of book, though I’ve listened to longer books without the struggle. Overall, I’m glad I listened, and I enjoyed it. I’m not sure I’d tackle it again.